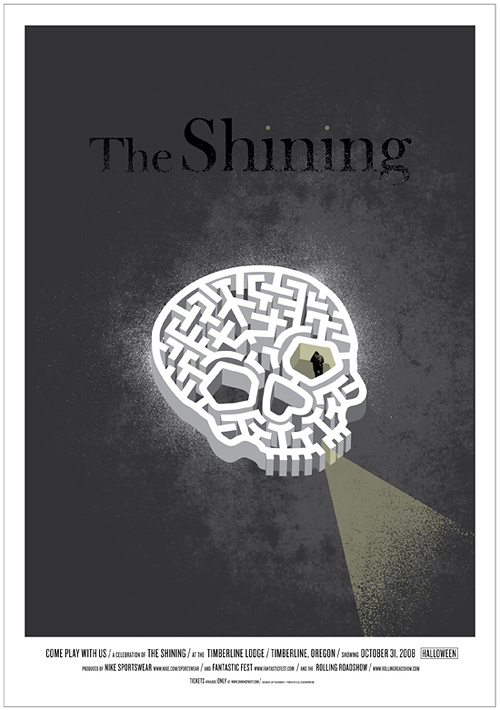 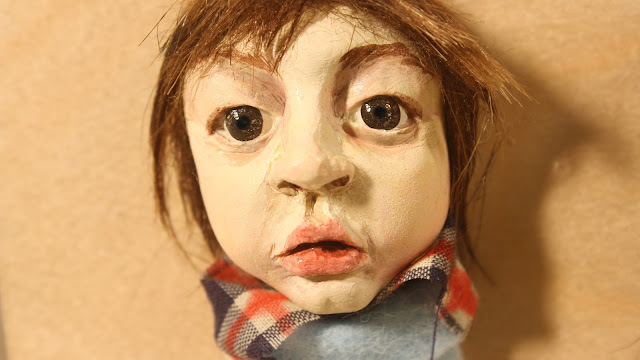 Recently, I’ve been reading Stephen King’s THE SHINING. 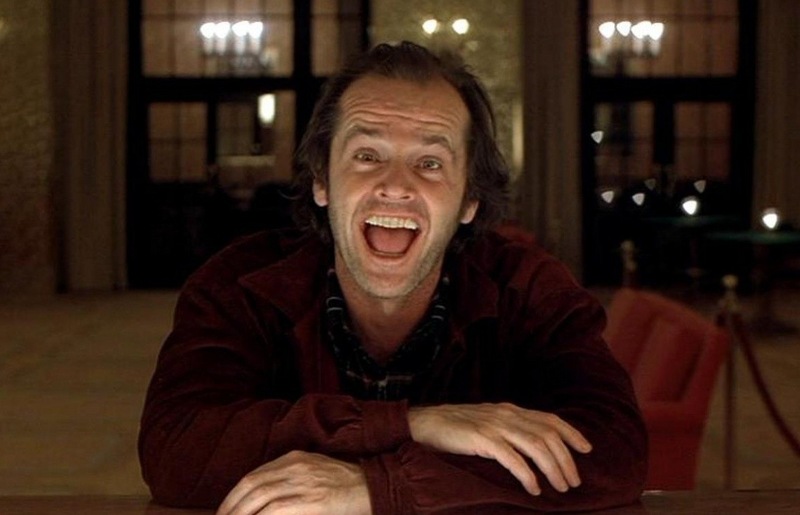 I’d never read the book before, and while I’m about halfway through it, I’m finding King’s book to be a bit bloated, and not nearly as elegant as the adaptation that the author famously doesn’t like. 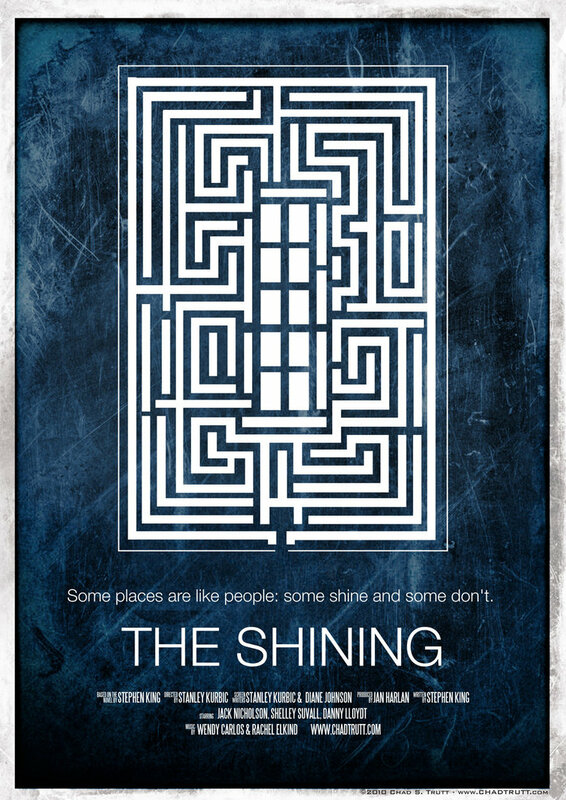 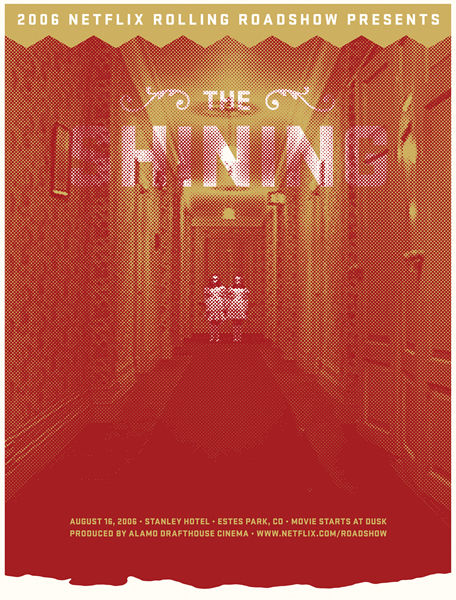 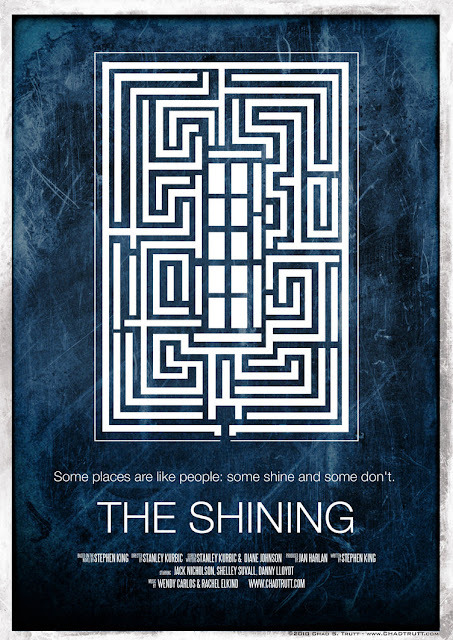 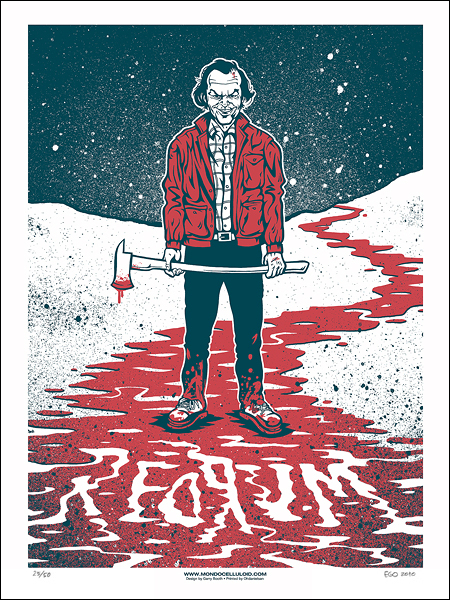 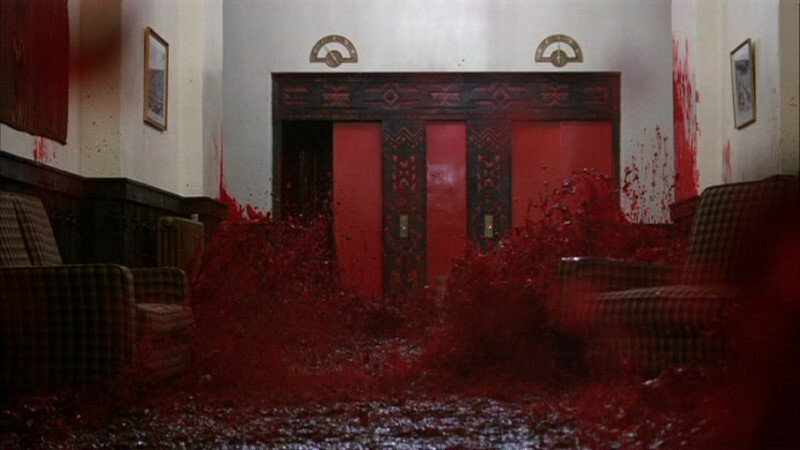 Stanley Kubrick’s THE SHINING is one of my favorite movies. 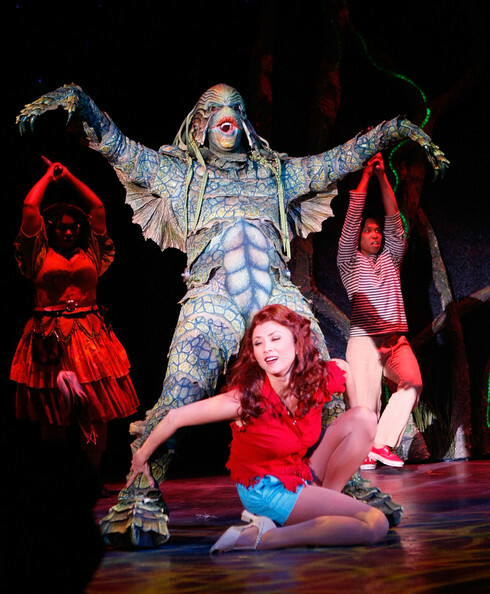 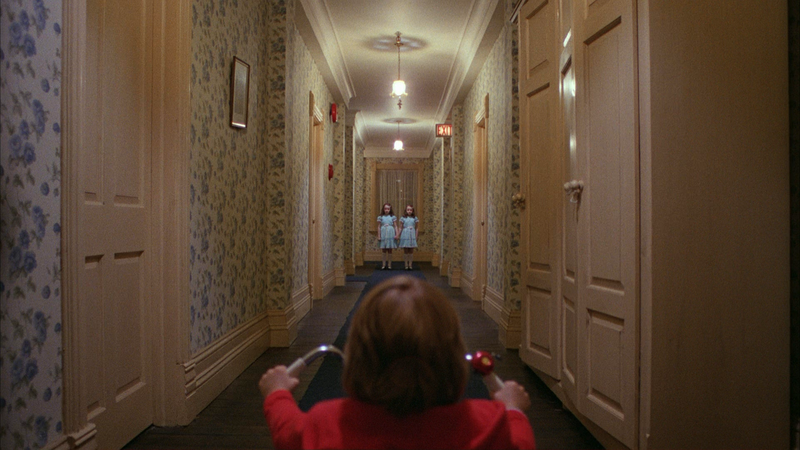 It’s alternately (and sometimes simultaneously) terrifying and hilarious, and it never ceases to be mesmerizing. Jack Nicholson's turn as the tormented Jack Torrance may well be his most iconic role, but he's hardly the only amazing actor in the piece. 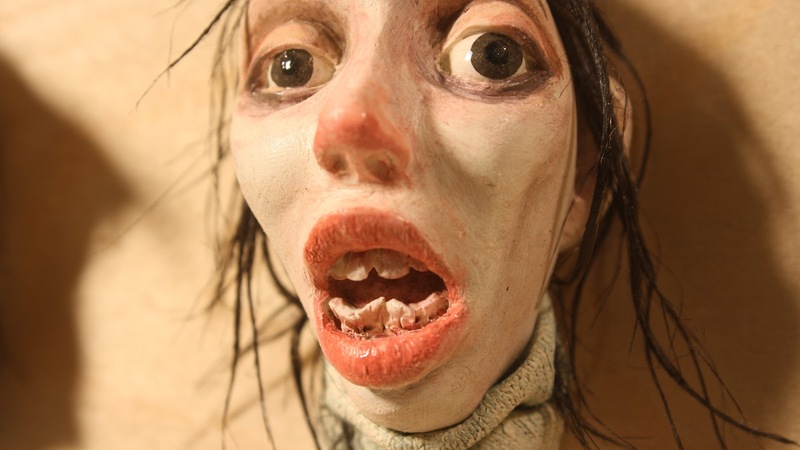 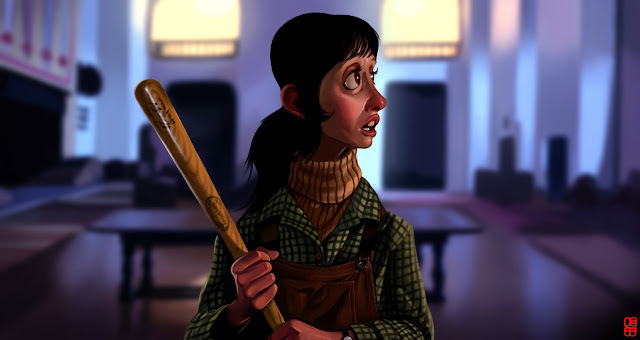 Shelley Duvall is bony perfection (and much better than the bombshell Wendy from the book would've been). 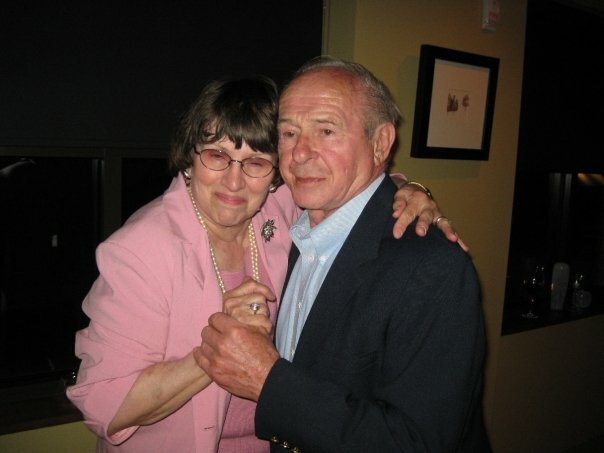 Danny Lloyd was so preternaturally good as Danny that he himself came up with the talking finger bit for Tony ("The little boy that lives in my mouth"). 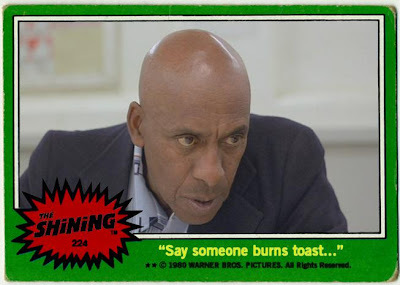 Even Hong Kong Phooey himself, Scatman Crothers, turns in a performance that can make hairs on your arms stand up. 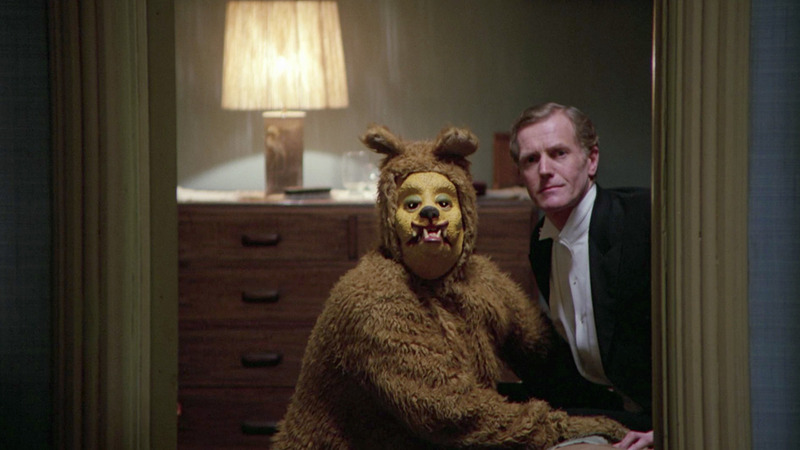 The sweeping cinematography, the indelible soundtrack (out of print for legal reasons, but downloads are floating around), the shocking images, everything works together to create a true masterpiece of cinema. 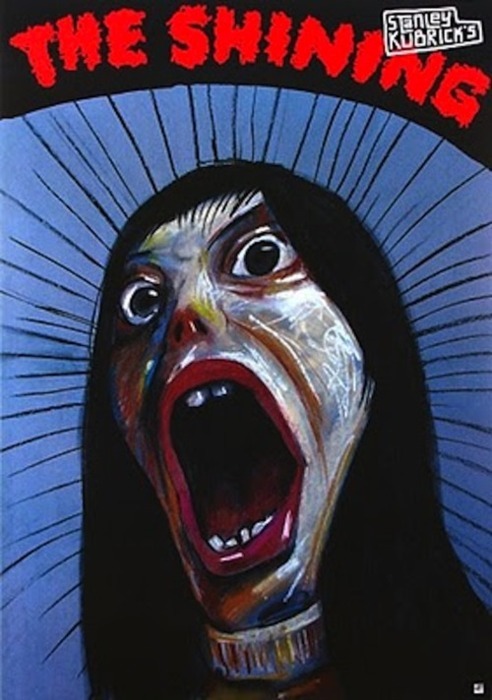 But even before the movie came out, it was scaring the bejeezus out of me. 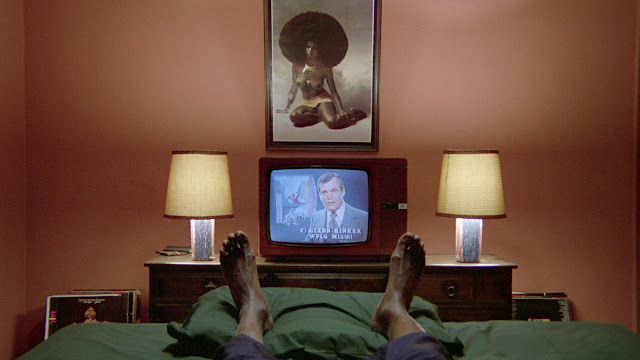 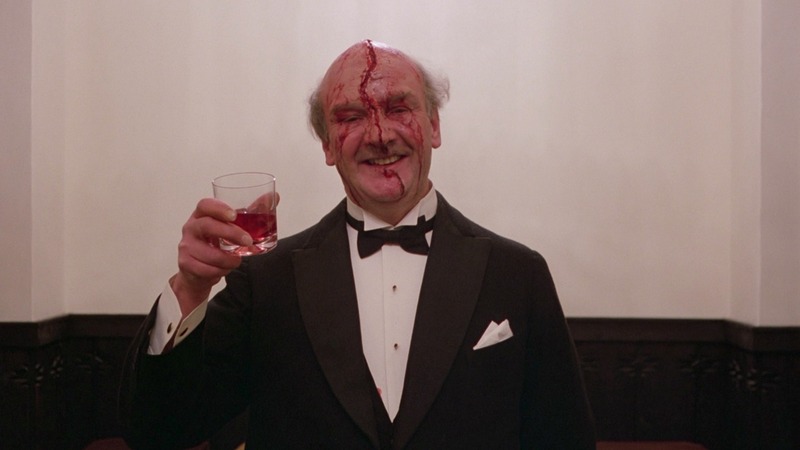 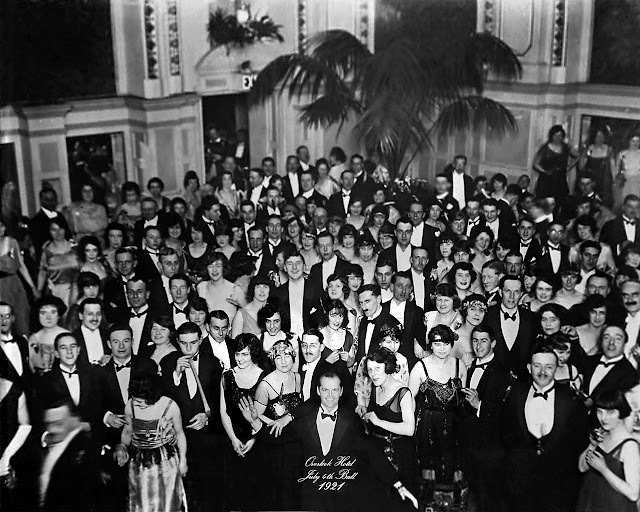 I can recall a late Saturday night in the late spring of 1980, when I was a lad of 15, staying up to watch SATURDAY NIGHT LIVE (one of the final episodes of the original Lorne Michaels era with most of the original cast), when a commercial for THE SHINING came on. 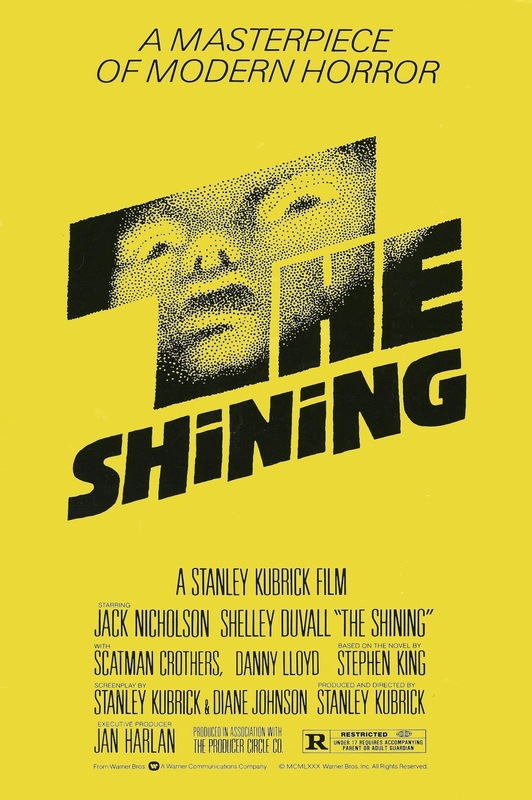 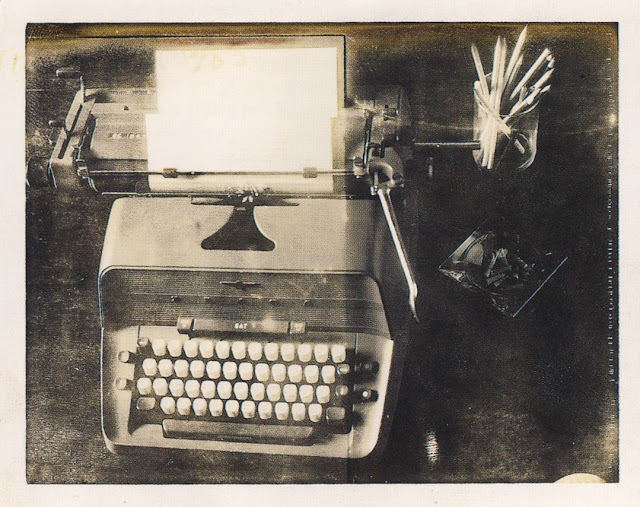 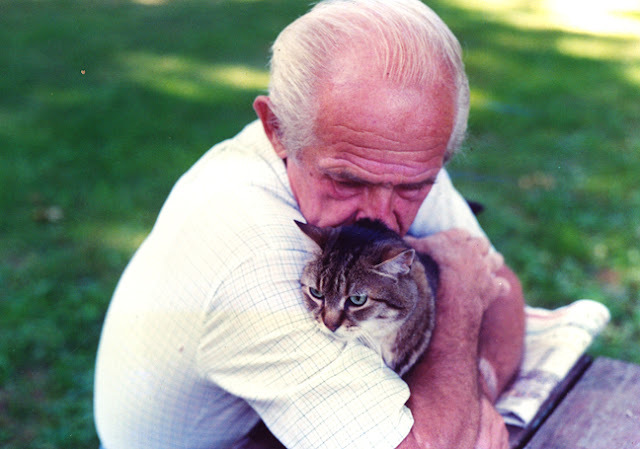 The ad was simply a montage of short snippets from the film, with no dialogue, merely the chilling main title by Wendy Carlos and Rachel Elkind. 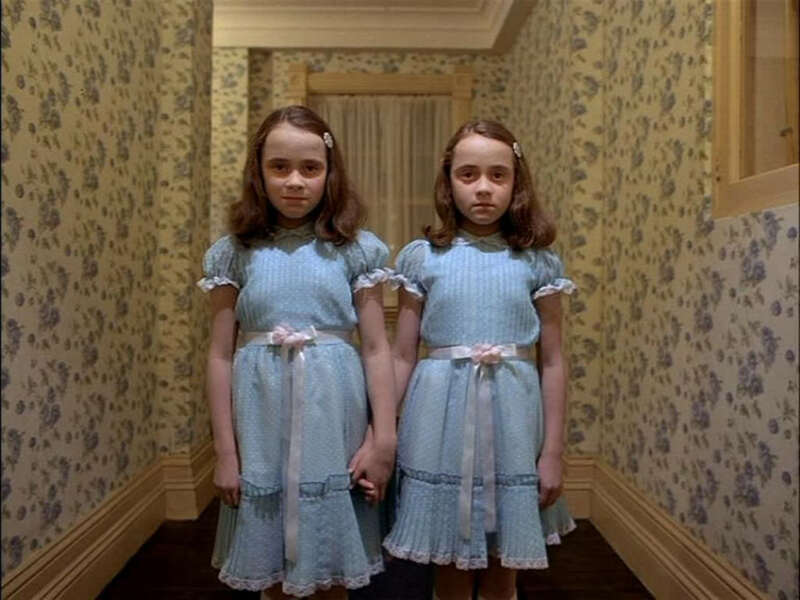 But the combination of elements scared me so much that I had to walk out of our picture window-dominated living room, back the hall to my Mom and Dad’s bedroom. 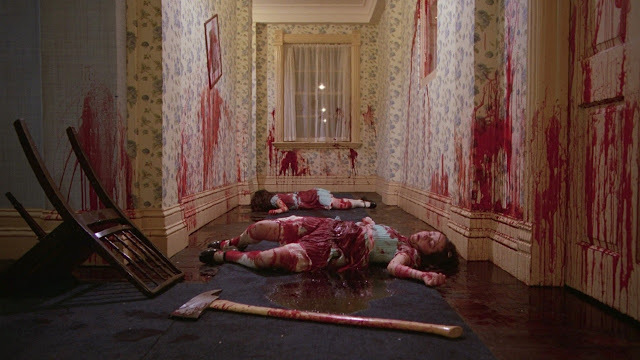 I didn’t go in to tell Mommy and Daddy that I was scared, I just stood outside of their door for a few seconds and regained my composure before returning to the relative safety of the living room. 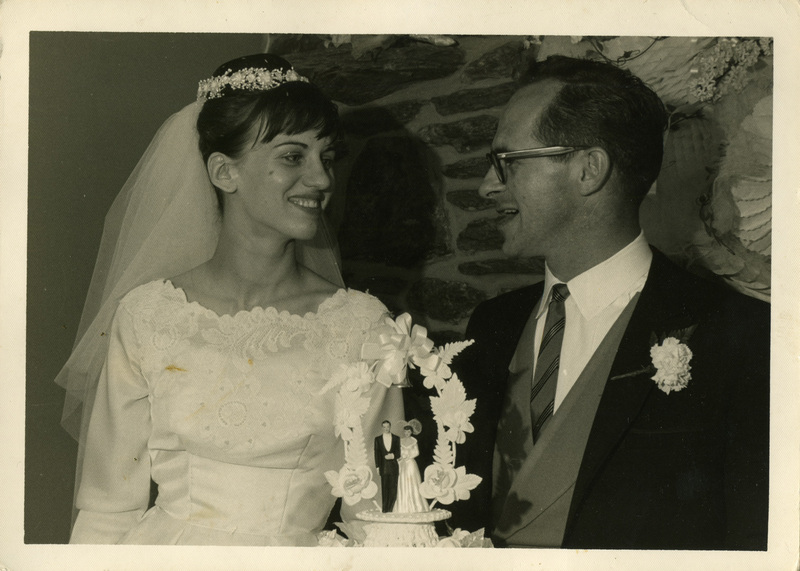 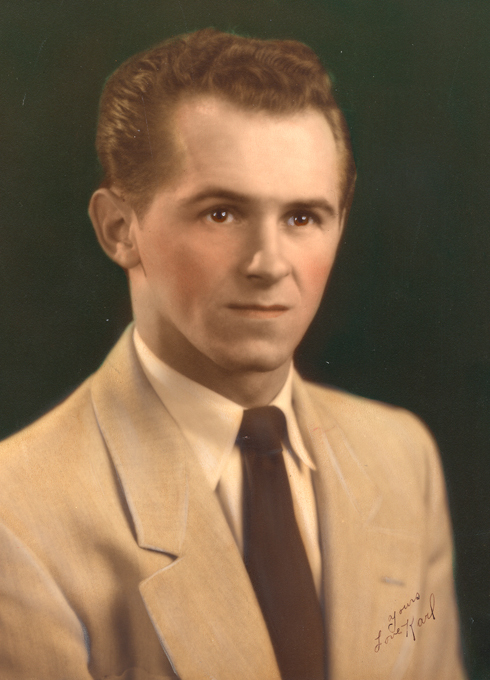 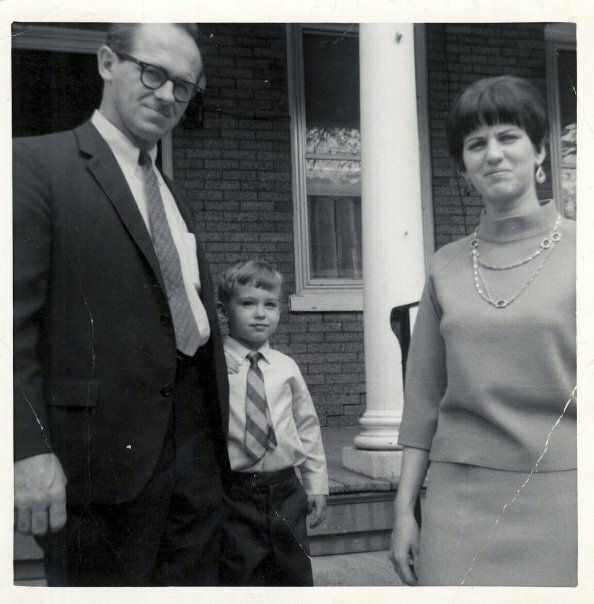 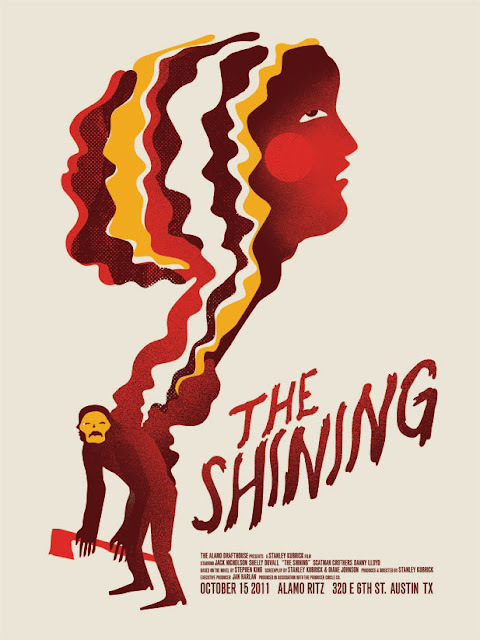 On June 13th, my father took my friend Bill and I to see THE SHINING at a sold out showing at the Eden Theater on the outskirts of Lancaster, PA (for the then-astronomical ticket price of $4.00). The movie made an instant and profound impact on me, and to this day, it contains—for me—the single scariest scene in the history of cinema. 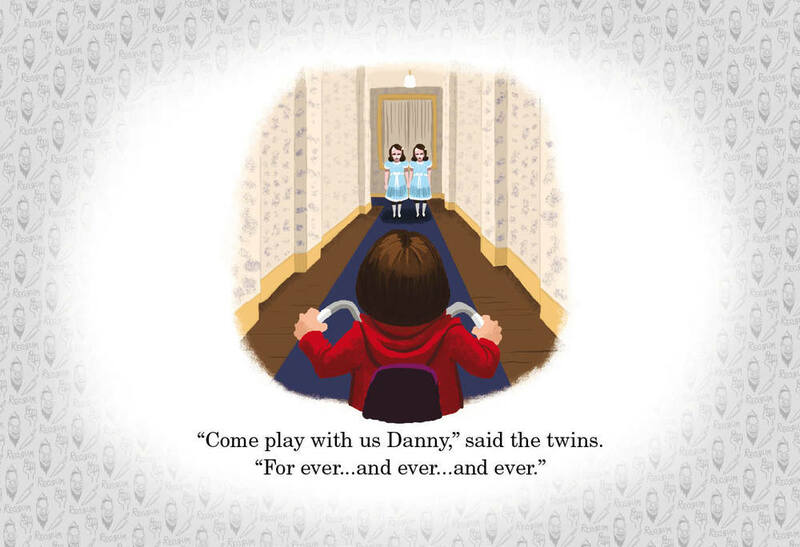 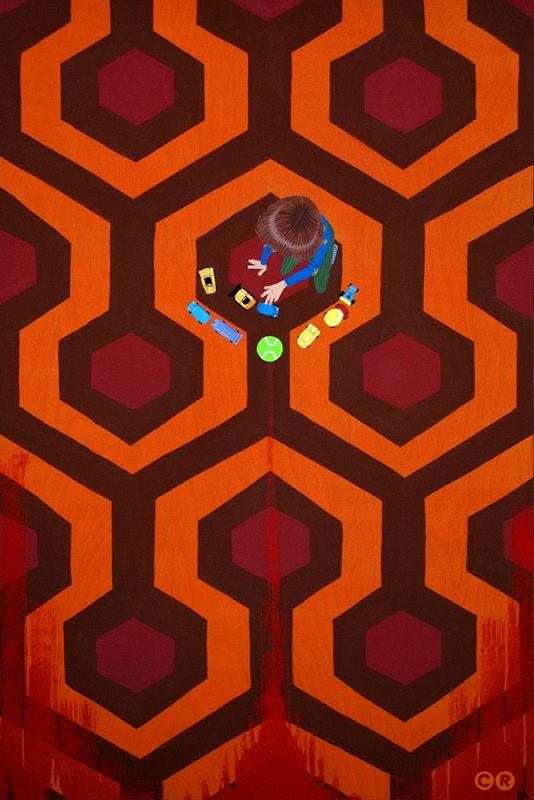 That would be the one where Danny rolls his Big Wheel through the carpeted hallways of the Overlook Hotel, and rounds a corner to see the Grady twins, standing in matching outfits, inviting the young master Torrance to “Come and play with us… forever… and ever… and ever,” as Danny “shines” on a vista of the young girls’ butchered bodies lying in the blood-spattered corridor. 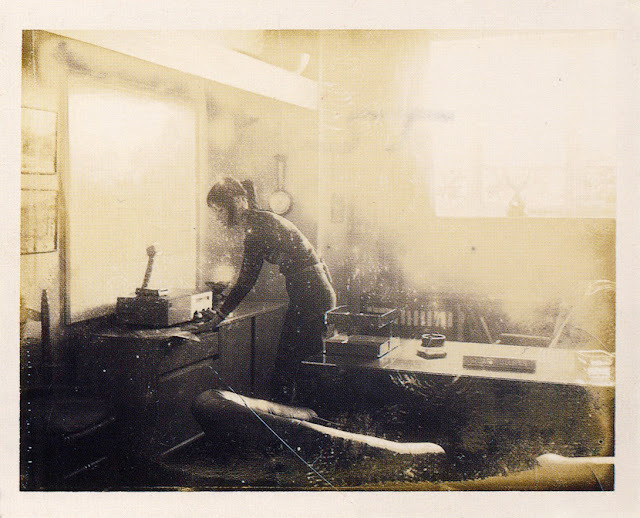 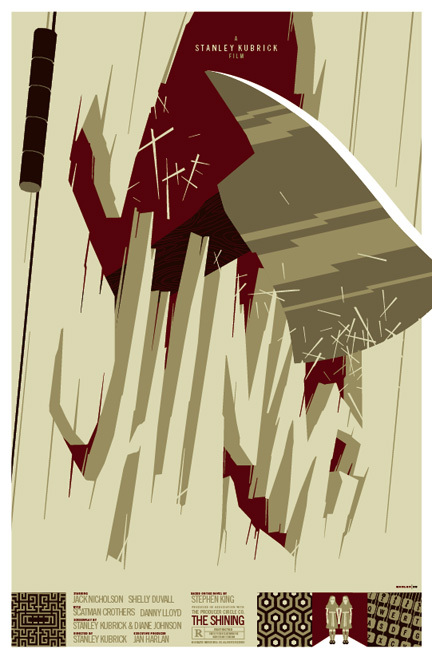 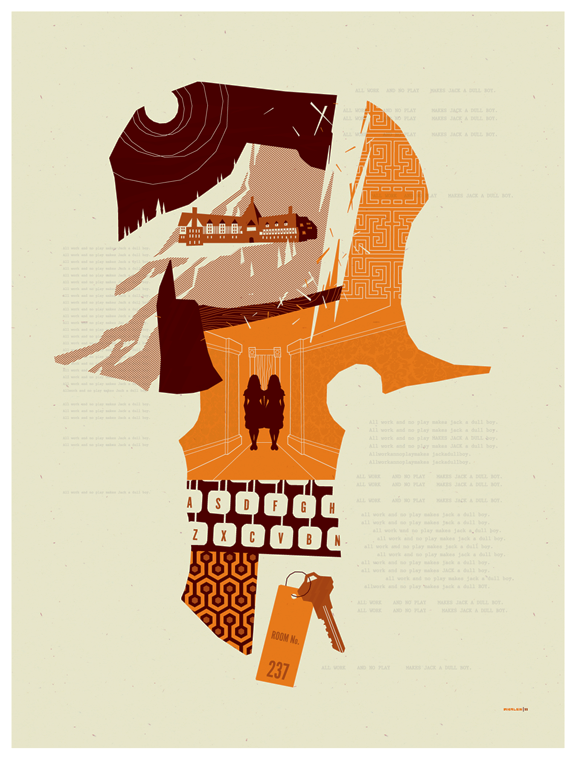 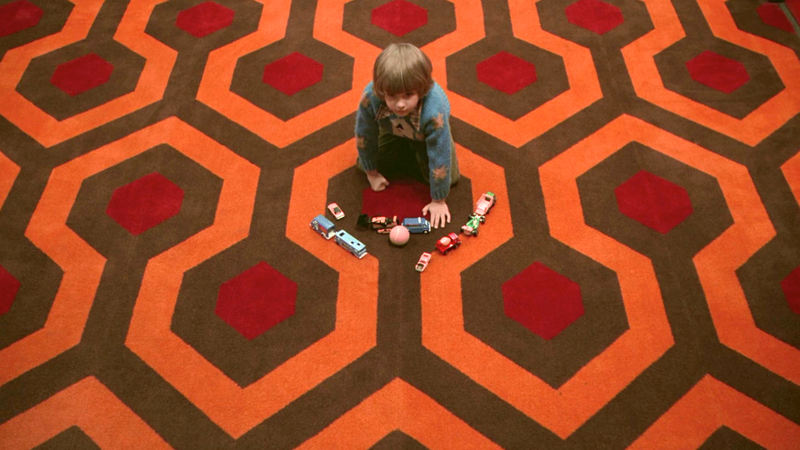 THE SHINING features so many gorgeously iconic images that it’s been a constant source of inspiration for artists and designers these past 32 (ouch) years. 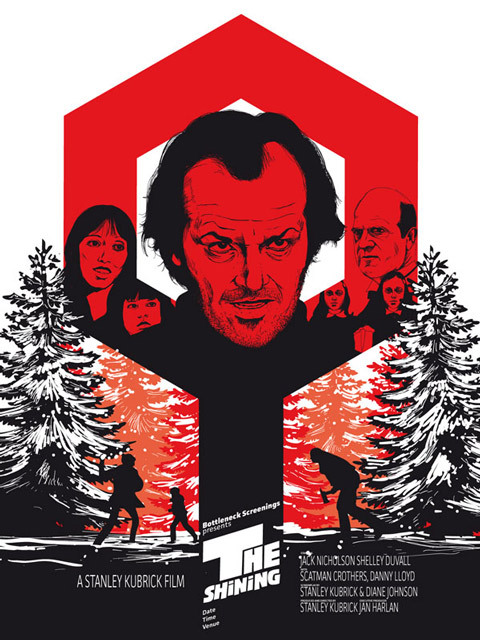 Below is a gallery of just some of the posters, sculptures and other imagery paying homage to Kubrick’s film (mixed in with some actual stills, photos and art) from around the Internet. 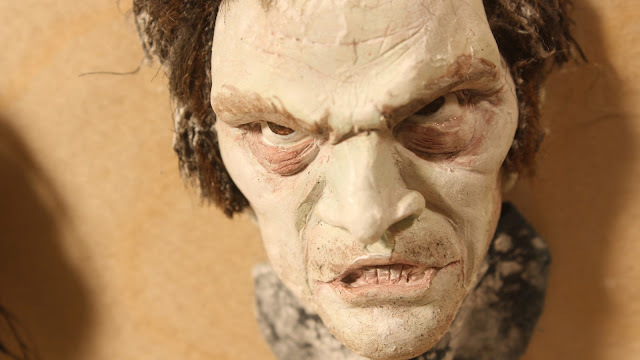 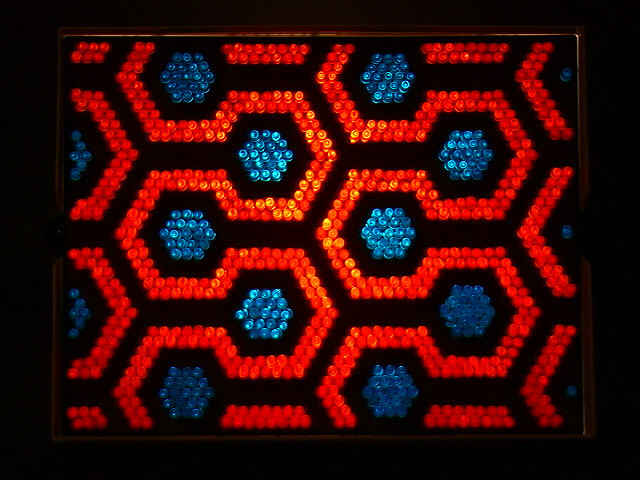 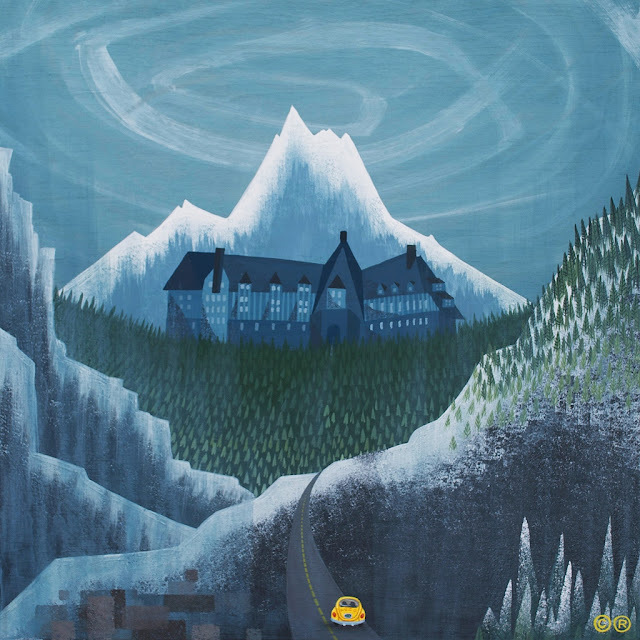 For much more, check out Lee Unkrich’s outstanding website, THE OVERLOOK HOTEL. 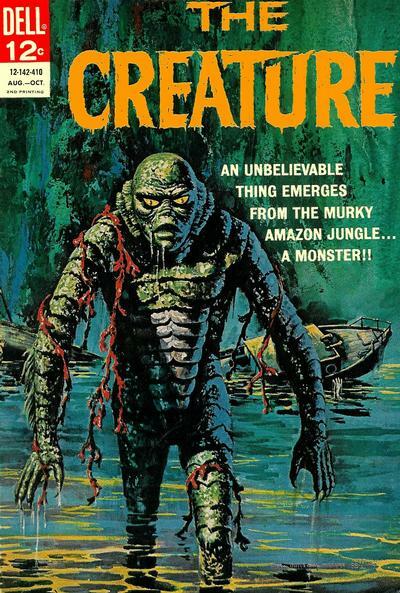 I realize I’m following up one horror theme with another, which was not my intention (but since I’m reading the book, it seemed like a good idea). 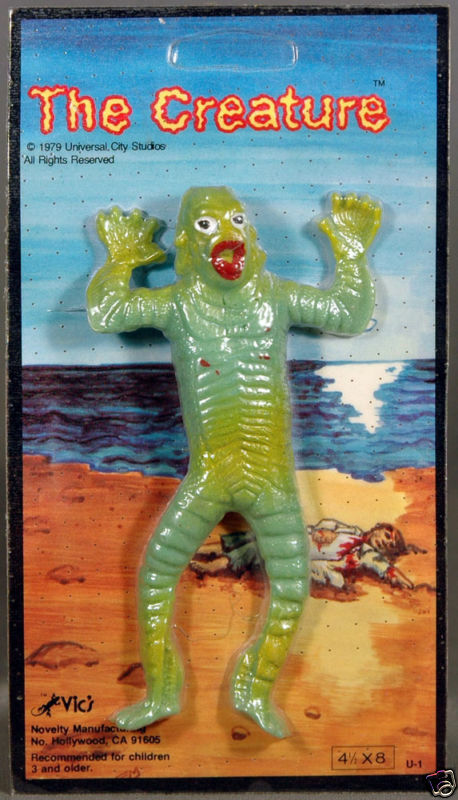 Still, with October just around the corner, I can’t promise that the next installment of The Pops Gallery will not also be horror film related. 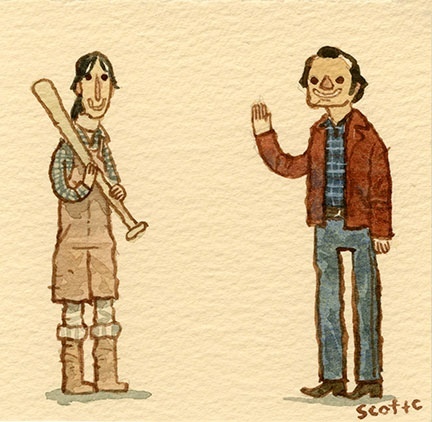 Just warning you. 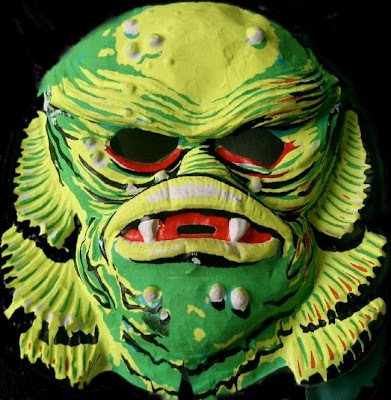 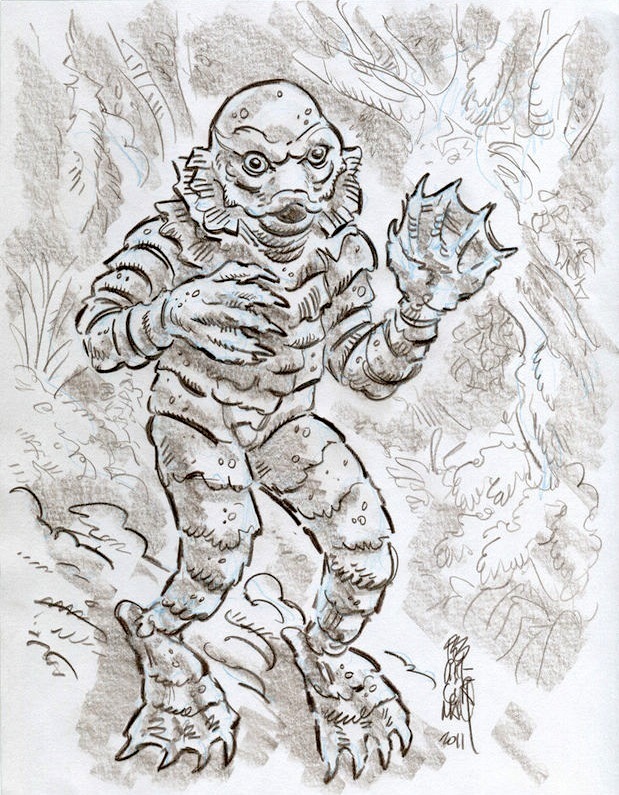 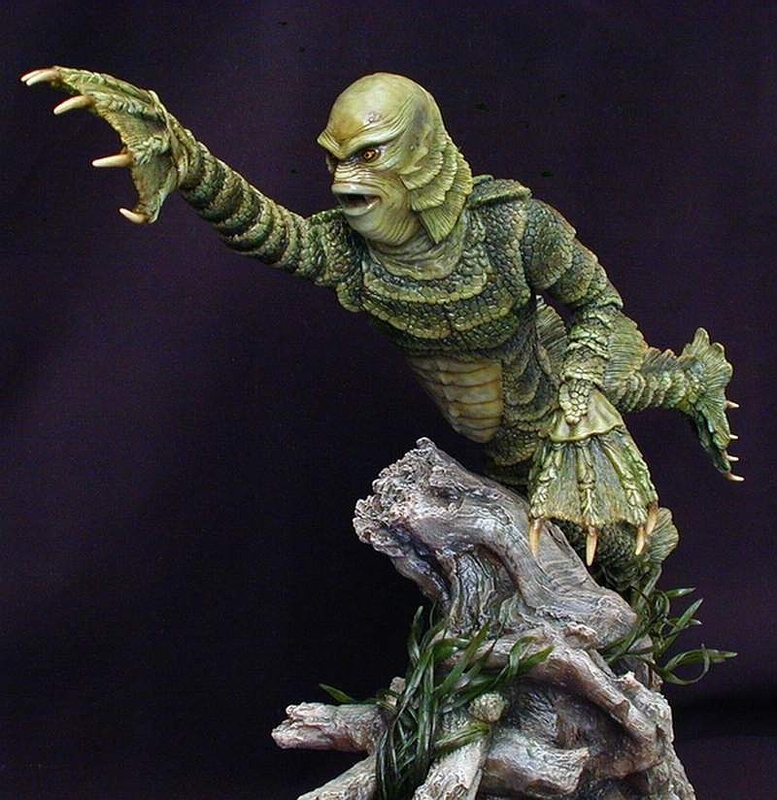 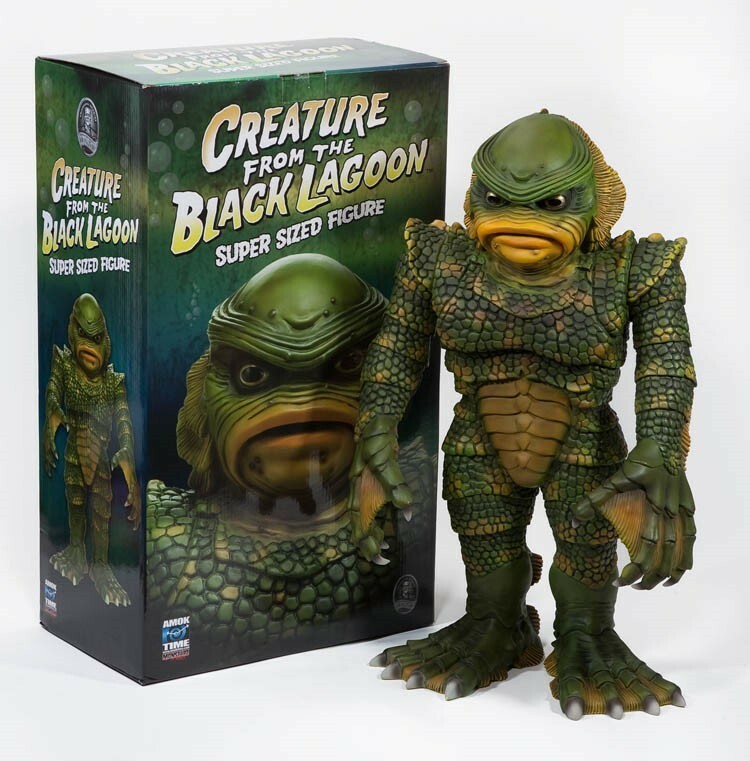 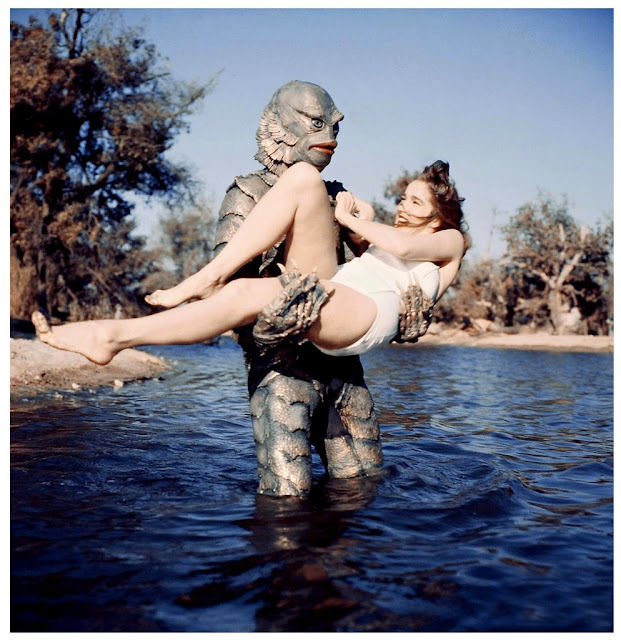 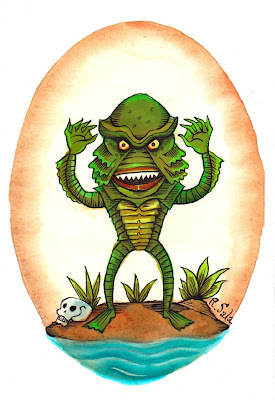 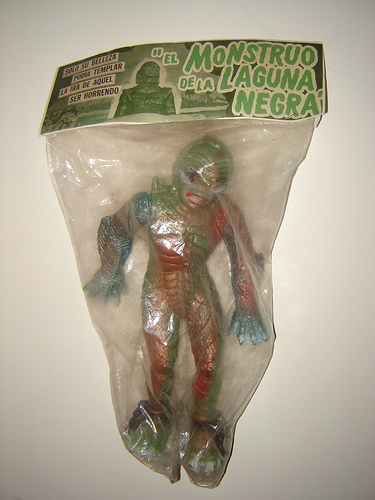 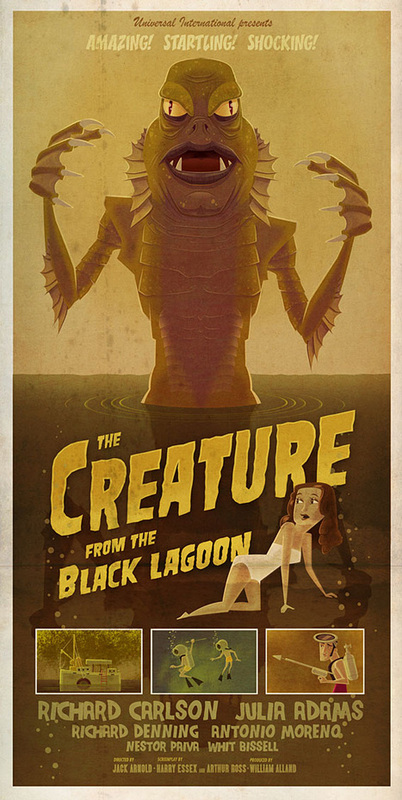 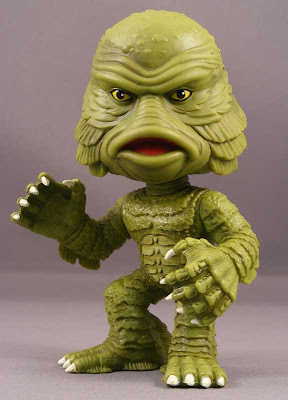 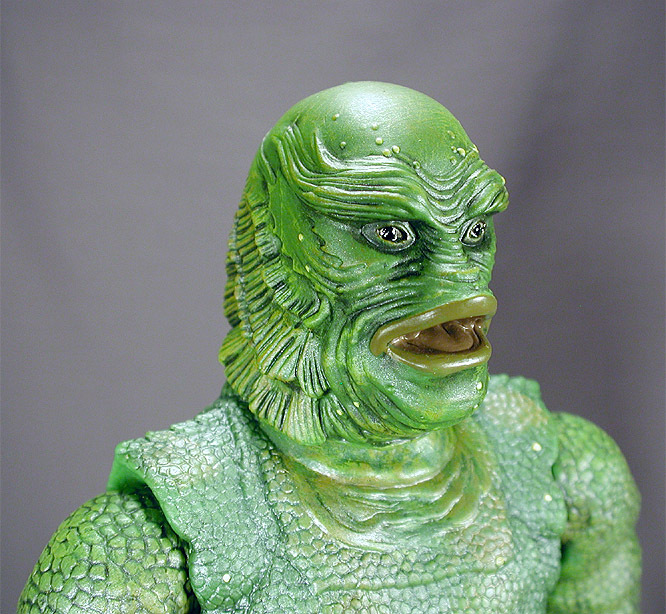 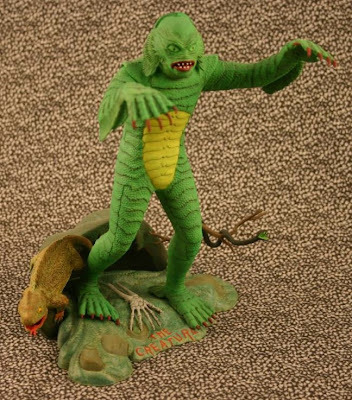 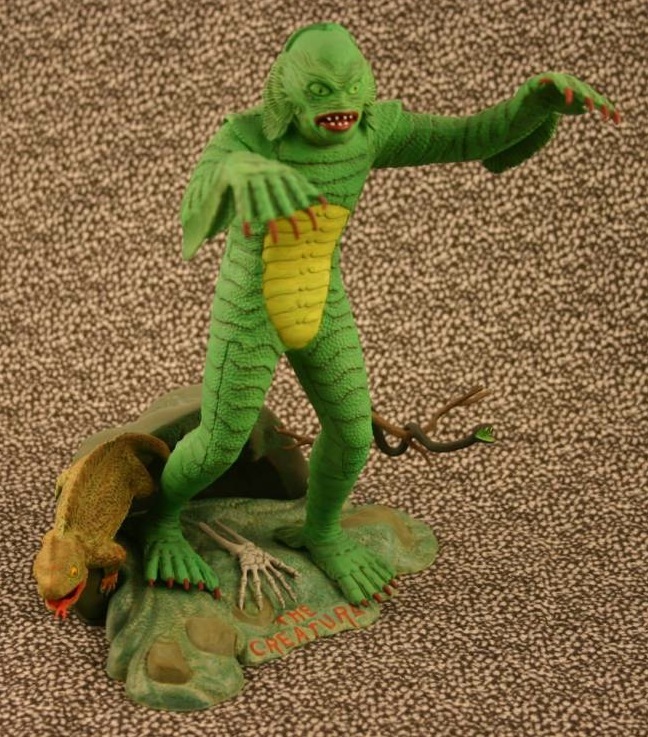 The Pops Gallery: The Creature from the Black Lagoon! 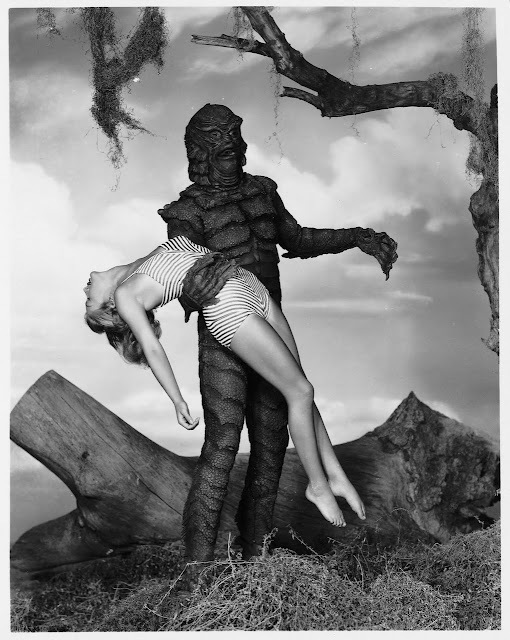 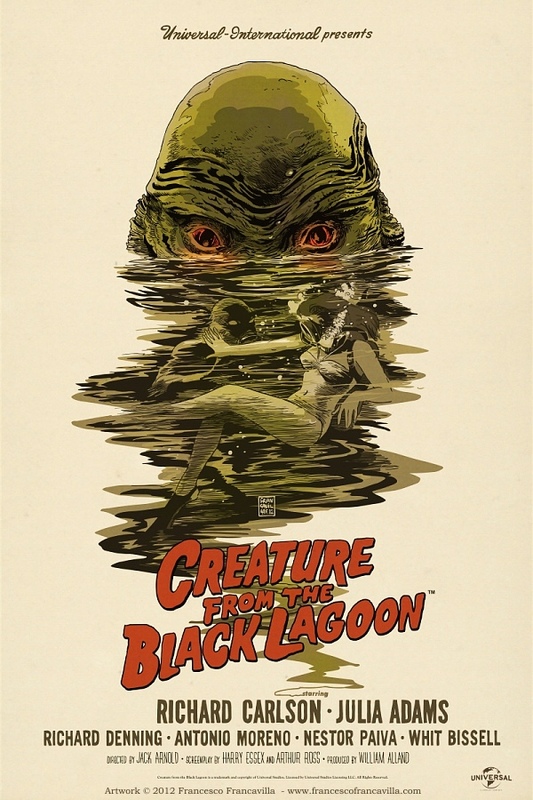 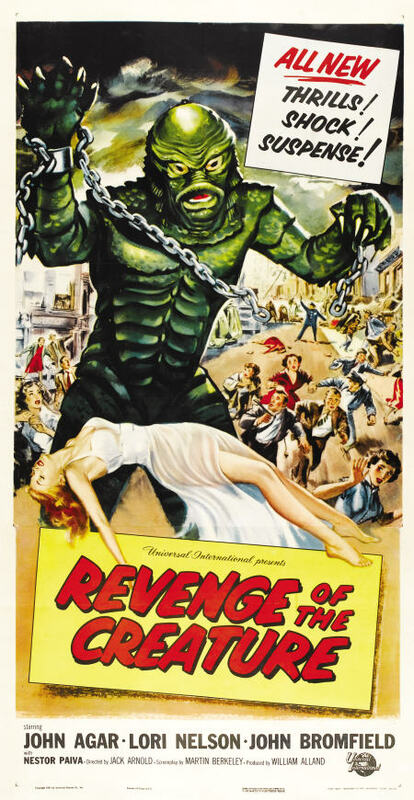 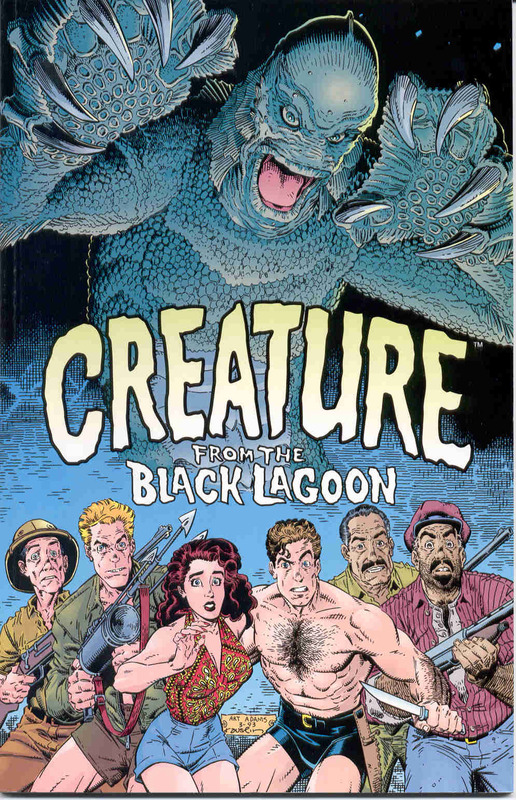 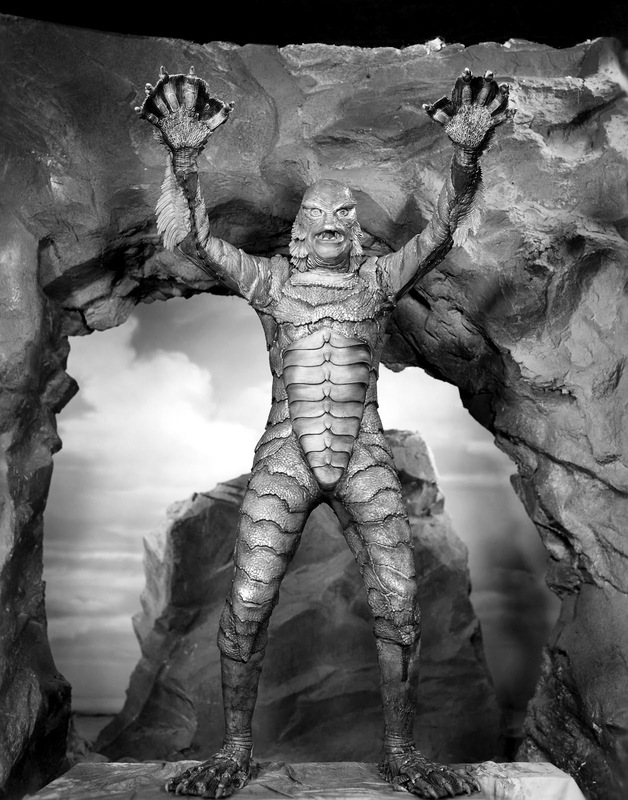 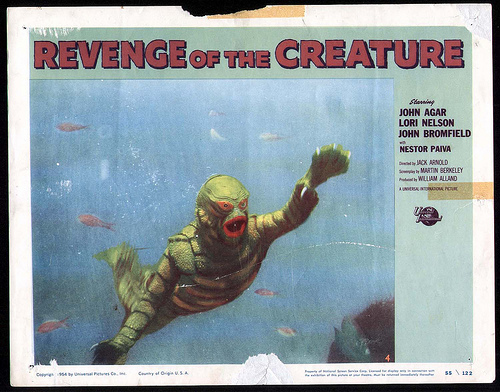 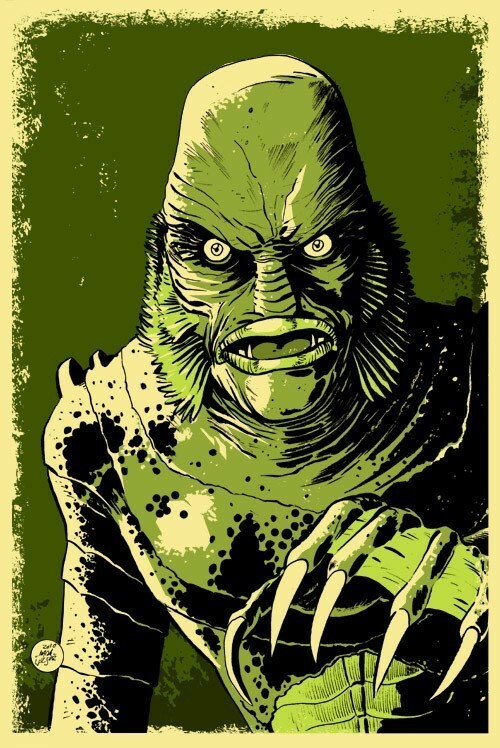 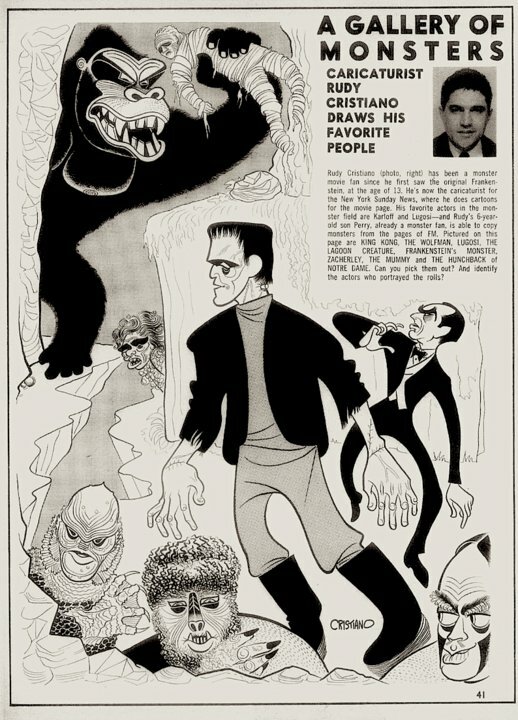 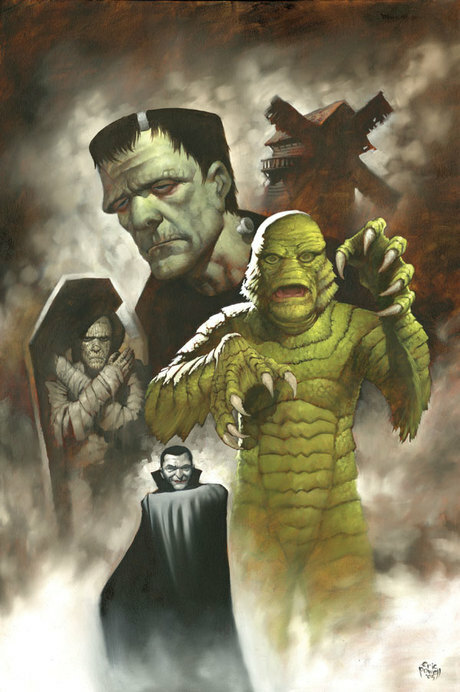 Of all the classic, iconic Universal Monsters, my favorite has always been the last: The Creature from the Black Lagoon (all due respect to Frankenstein, Dracula, the Wolfman, et al). 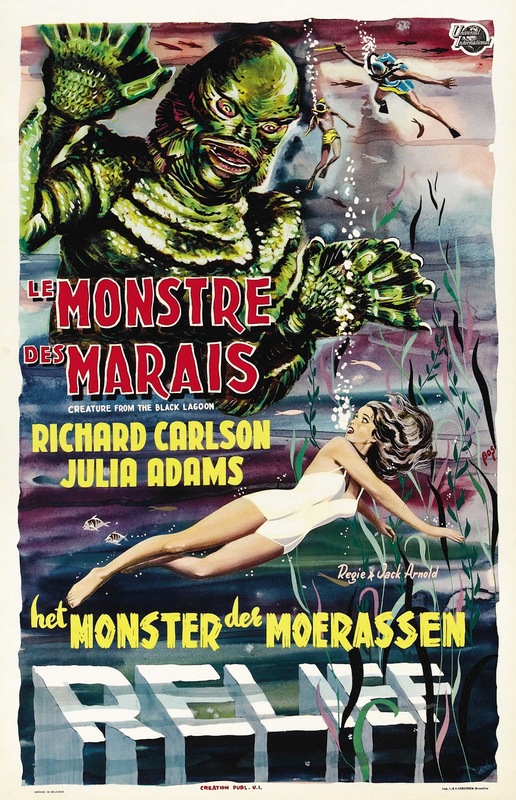 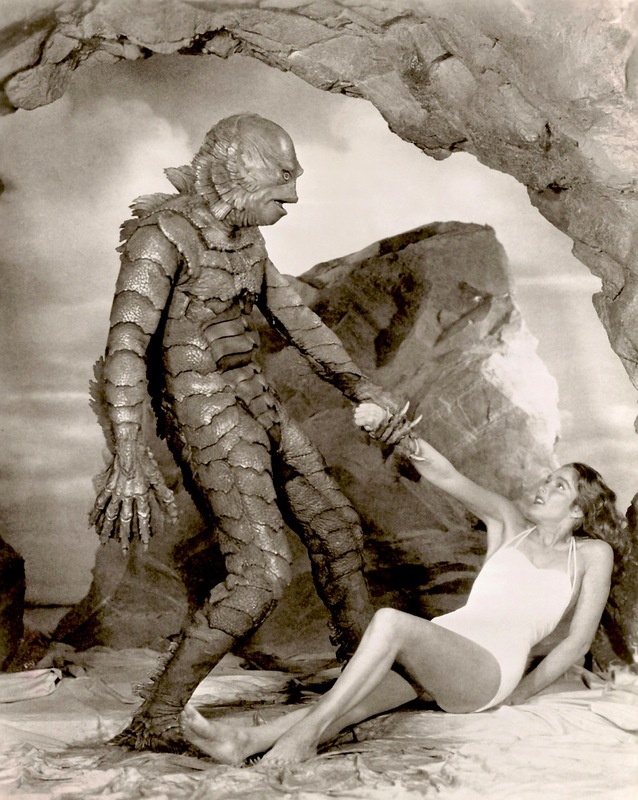 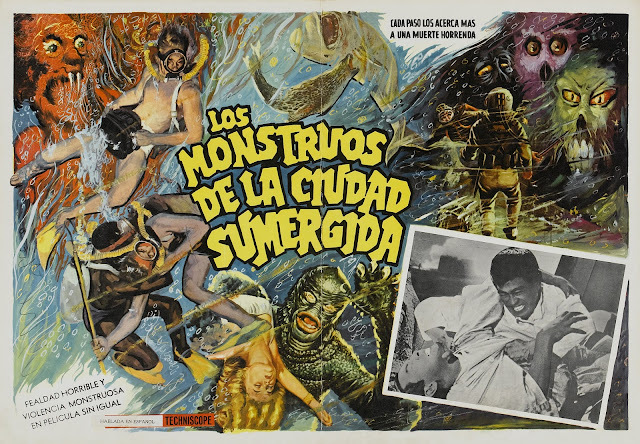 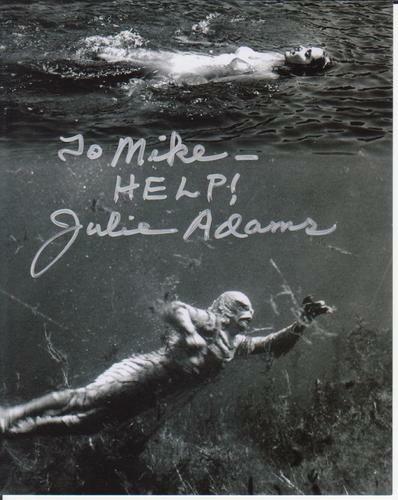 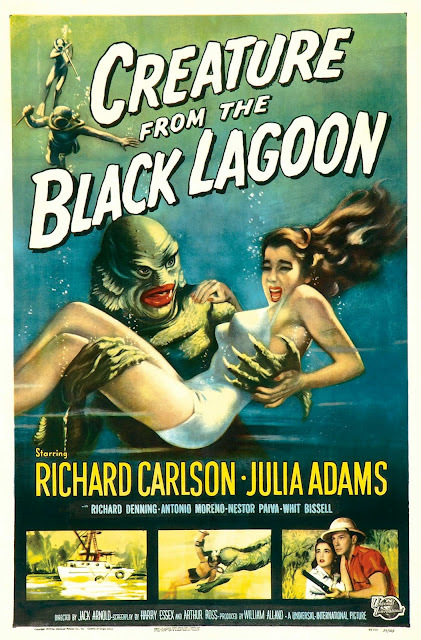 The original 1954 film (directed by Jack Arnold) had a mixture of menace, pathos and sexuality that, combined with some groundbreaking underwater photography, holds up to this day. 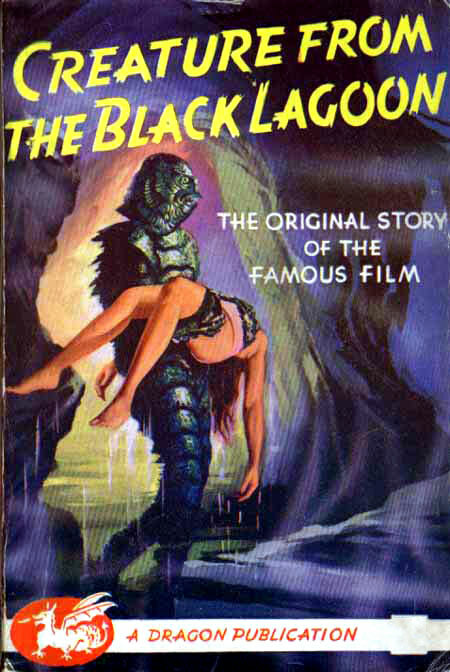 Some substandard sequels didn’t taint the original’s legacy. Nor could a reboot that’s been promised / threatened since the early 1980s. 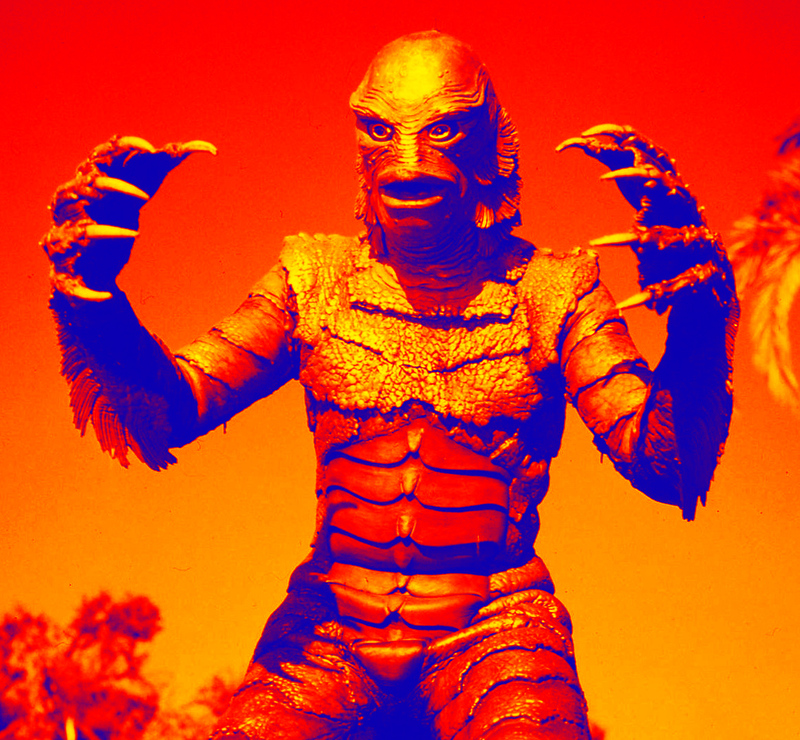 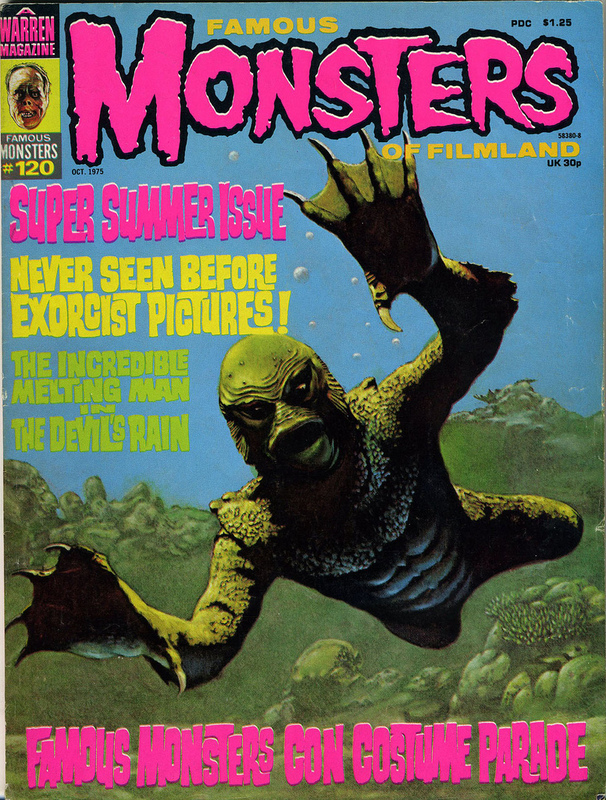 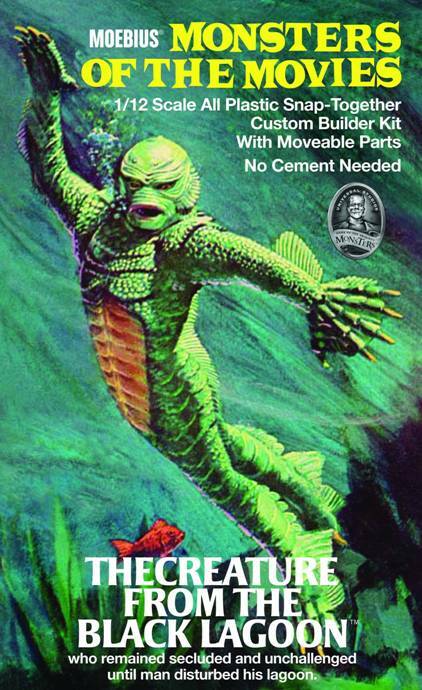 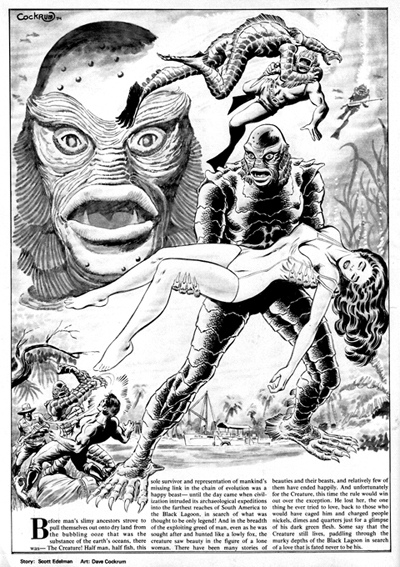 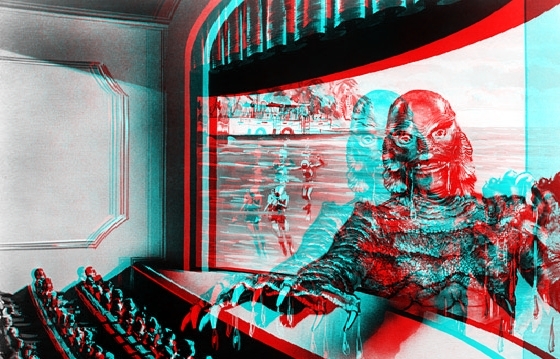 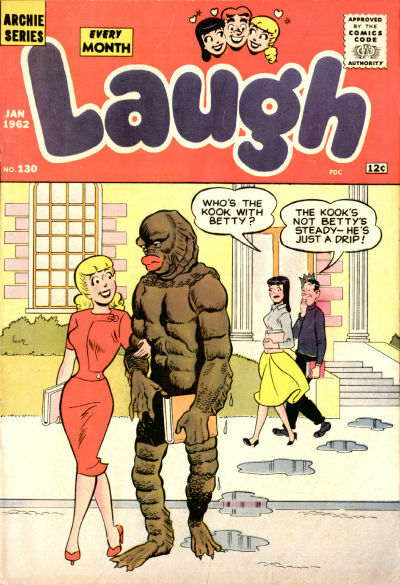 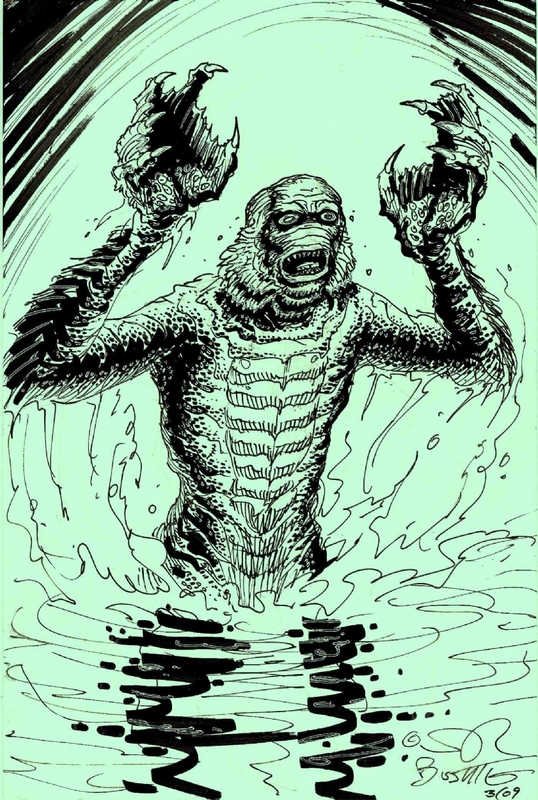 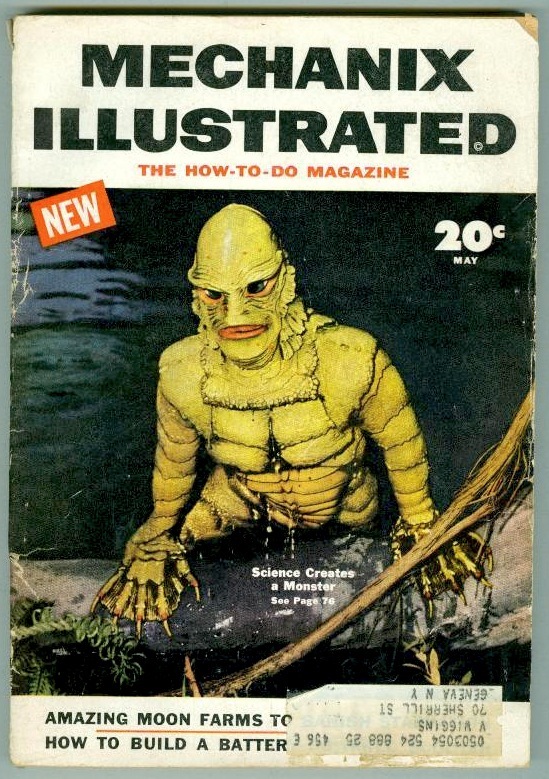 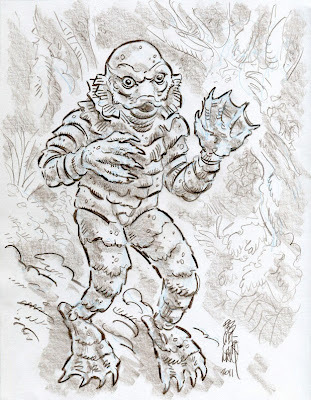 The Gill-Man not only featured some incredible graphics at the time, he has gone on to inspire some really cool artwork, design, and merchandise in the past 58 years. 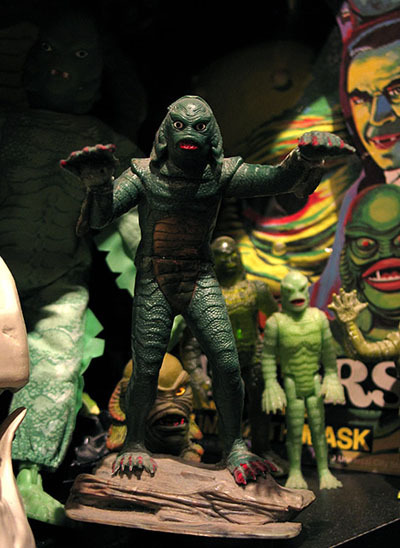 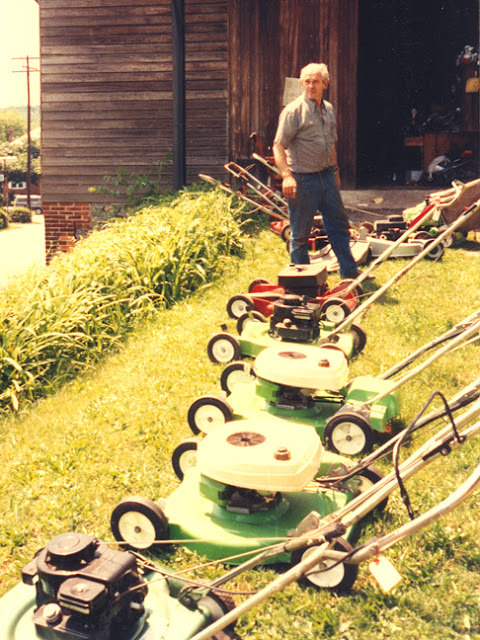 Here’s a sampler of some goodies, vintage and new. 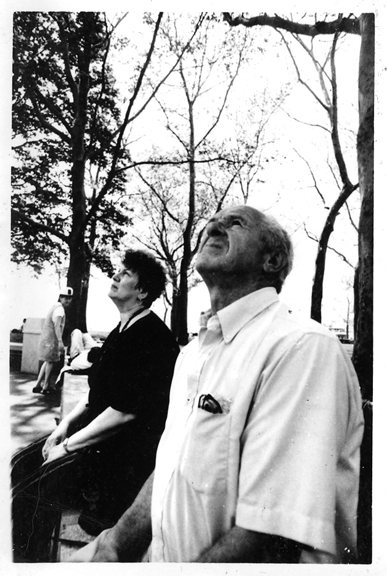 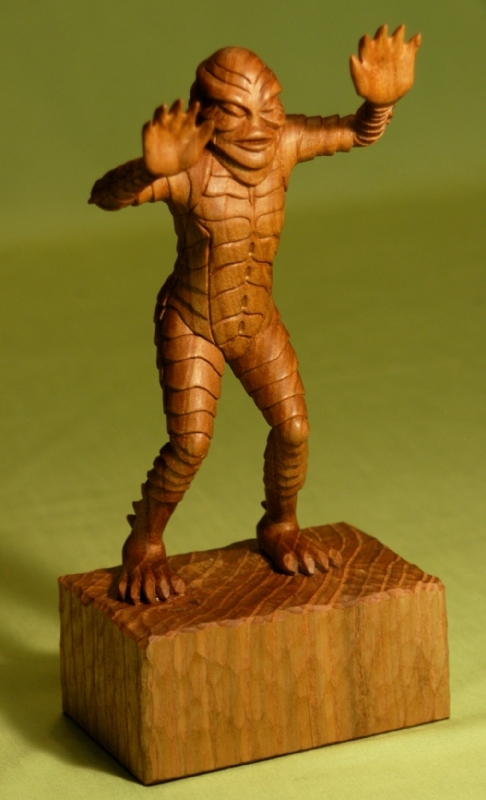 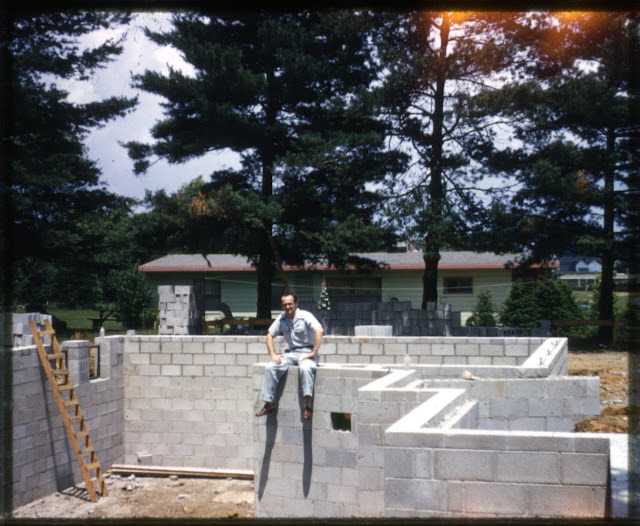 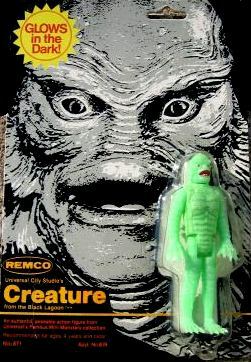 For more, check out Jon K’s (now-retired) Blog of the Creature or Dr. Macro's high quality scans. 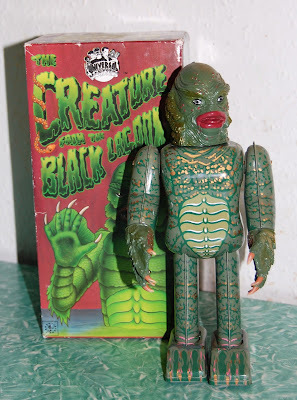 I have a tiny (by my standards, anyway) collection of Creature figures, a photo of which starts off this Pops Gallery.